Air travel was changing from a novelty to a serious form of transportation by the 1920’s. The federal government supported this new industry by paying to have planes deliver mail. 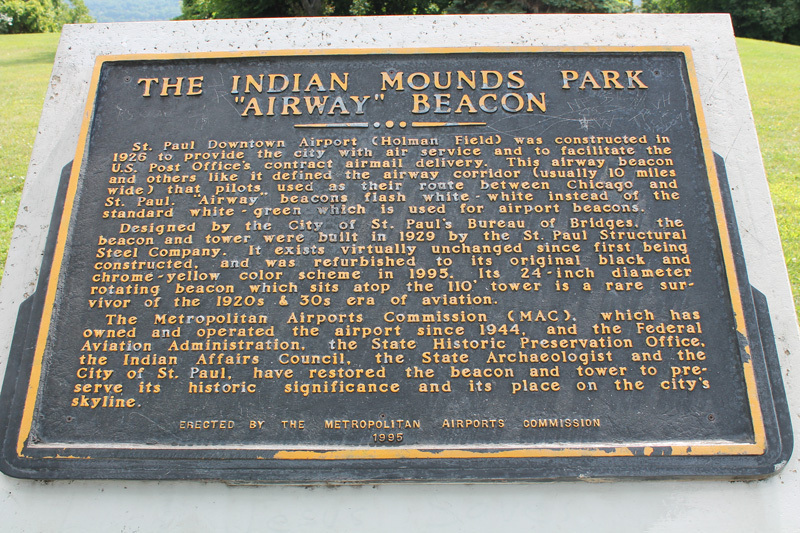 Over 600 airway beacons were constructed by the post Office and the Department of Commerce between 1923 and 1933 to help pilots find their way on night flights by following lights from city to city. 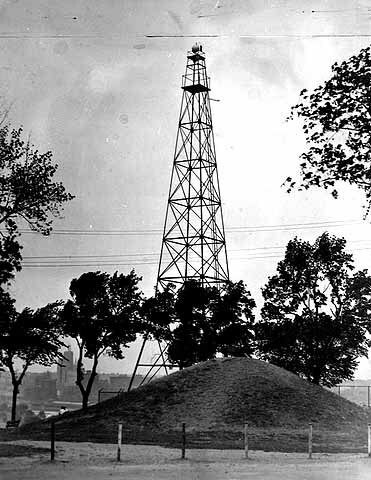 In 1929, a one hundred foot high steel tower for an airway beacon was constructed in Indian Mounds Park a little west of Earl. It was designed to light the route between St. Paul and Chicago, and ever since has been a local landmark. Ironically, in that same year, low frequency radio range system began to replace the visual system. The rotating beacon features a twenty-four-inch mirror with a one kilowatt lamp mirror that spins at six revolutions per minute. The pilots of old and people in the park today see a flash every ten seconds. In clear weather they could be seen for forty miles. 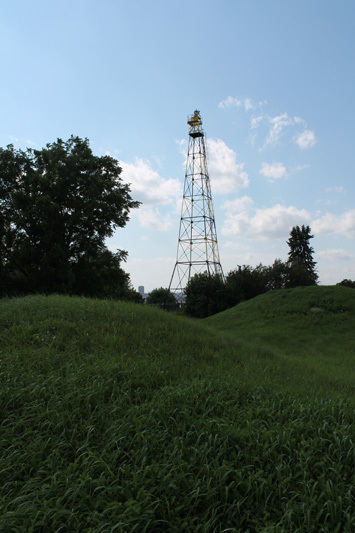 The Smithsonian wanted to move the Indian Mounds Park beacon- the last of its kind- still standing- to their museum back east but it’s still here. The lamp still works and revolves, bringing its light to the surrounding neighborhood. 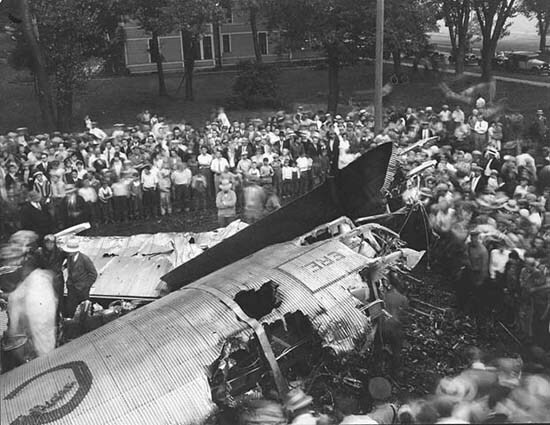 People were fascinated with the development of flight and according to a newspaper, “large crowds of onlookers throng the bluffs overlooking the airport.” On June 24, 1929 they gathered near the park to gaze at a plane. Unfortunately, it was a Northwest Airlines passenger/air mail plane that had lost power and crashed near the intersection of Mounds Boulevard and River and today’s Wilshire Street. The veteran pilot died in the initial impact and the plane caught fire, but all of the seven passengers escaped. 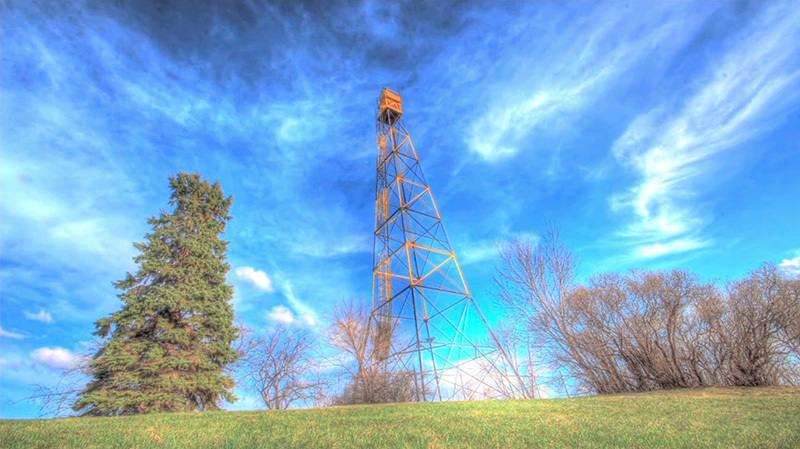 The beacon was restored between 1994 and 1995. The revolving light was taken down and refurbished. A modern red and white color scheme on the tower was stripped off and was replaced by the original black and chrome yellow color scheme was restored. 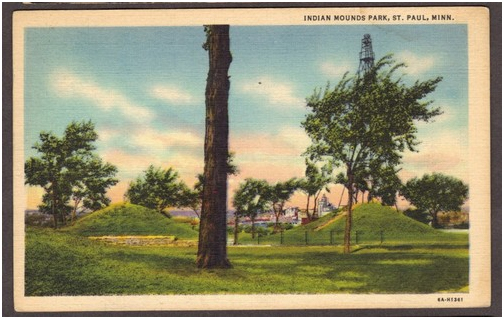 An interpretive marker now sits near Mounds Boulevard and, after more than seven decades, the spinning light continues illuminating the bluff above the St. Paul Airport across the river. 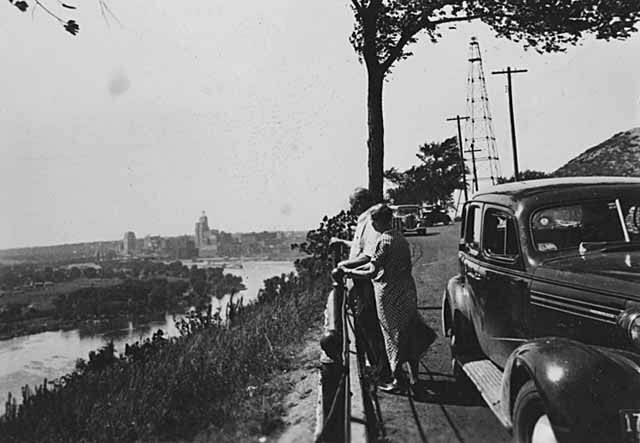 Steve Trimble, “Beacon on the Bluff,” Saint Paul Historical, accessed April 19, 2019, https://saintpaulhistorical.com/items/show/22.